Can delving into the history of our presidents help the younger generation make a difference in our current society? According to Jeremi Suri, the answer is a resounding “yes!” As part of their Insider Series, World Affairs Council hosted Jeremi Suri to speak about “Why the History of the Presidency Matters in the Age of Trump.” Dr. Suri, a professor at the University of Texas LBJ School of Public Affairs, was the special guest for the evening. He teaches courses on strategy and decision-making, leadership, globalization, international relations, and history. We only had to take note of his most recent book, The Impossible Presidency: The Rise and Fall of America’s Highest Office, to know that he would be an interesting person to hear speak. It was an added bonus that we would be going to the Houston United Way, a new venue for us. When we arrived, we were greeted by Amanda Rico, the Director of Education for the council. It wasn’t long until Dr. Suri joined us and began the session with a seemingly simple question, “Why do people study history?”. By studying history, people can decrease the likelihood of making errors, but also allow us to imagine a new future. History can teach others how to respect the reasons people have in making the decisions they’ve made in the past. For example, certain presidents, such as George Washington and Ronald Reagan, have shaped the American presidency through re-imagining the future. Dr. Suri opened up the floor for conversation by asking us about what the presidency, or the selection of the president, should be like in present day. Of course, everyone had an opinion! Students in the crowd shared their educated opinions, bouncing their ideas back and forth. One student even suggested that that the presidency should have an age cap, since there was already an age minimum. This led the conversation to shift to a major problem our current society has, especially with Millennials. Since the younger generations are not politically active and have little to no presence in all parts of the government, our governmental systems cannot effectively function. Indeed, this question was posed by one of the SHSU contingent, Chase Kennemer. Many ideas have been implemented, but there is still no concrete solution to this age-participation gap. How can we, as students, fix that problem? What could we do to motivate those around us to become more engaged? Dr. Suri advised that the best way to influence others is to communicate the importance of getting involved with our government, especially locally: Attending a city hall meeting to see how their actions affect our city, or beginning by running for local office. Overall, his lecture was educational and invigorating for us, motivating us to keep being involved with politics and government. It inspired everyone to eventually make a difference in America’s government. We were able to shake hands with Dr. Suri and thank him for his empowering speech, taking the time to speak with us individually after the event. The Ambassadors had a few ideas about where they would like to stop for dinner, but like most fair democracies, President Kaitlyn Tyra picked her favorite restaurant to go to, none other than Peli Peli Kitchen, a South African cuisine, in West Houston. Our fellow companion and Pre-Law member, Sawyer Massie, had his first time eating African food. Unlike some ambassadors, he was genuinely excited to try a new type of food! Food ranged from common South African Fajita Tacos to Curried Chicken and the Huguenot Pork Belly. As we sat around the table, we discussed the importance of specific people that Dr. Suri mentioned, artists such as Gilbert Stuart and Norman Rockwell, whom he managed to incorporate into a talk on politics. It was nice to know the people he mentioned! And it was a great end to a fun filled evening. We headed back to Huntsville for a good night sleep before attending the Candidate Forum the next day. 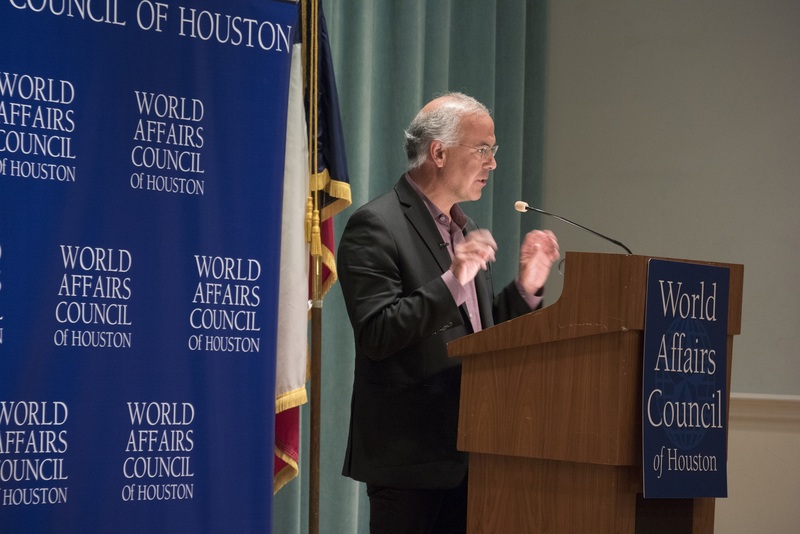 By Kaitlyn Tyra–Ready for an evening in Houston, LEAP students departed from Huntsville eager to attend a World Affairs Council Meeting to learn more about how to achieve moral character. 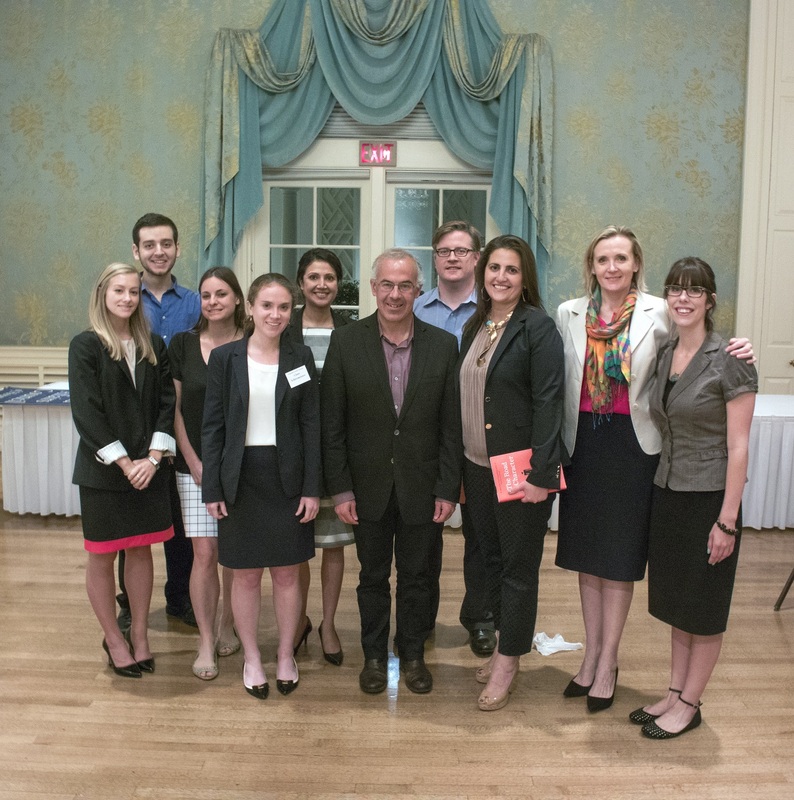 Upon arriving at the Junior League in Houston, LEAP students, many of whom were visiting a World Affairs Council event for the first time, were amazed at how large the event was. In a sense, it was a double blessing, because not only did we hear Brooks’s words of wisdom, but we also had the chance to see how the professional staff at WAC run such large events. 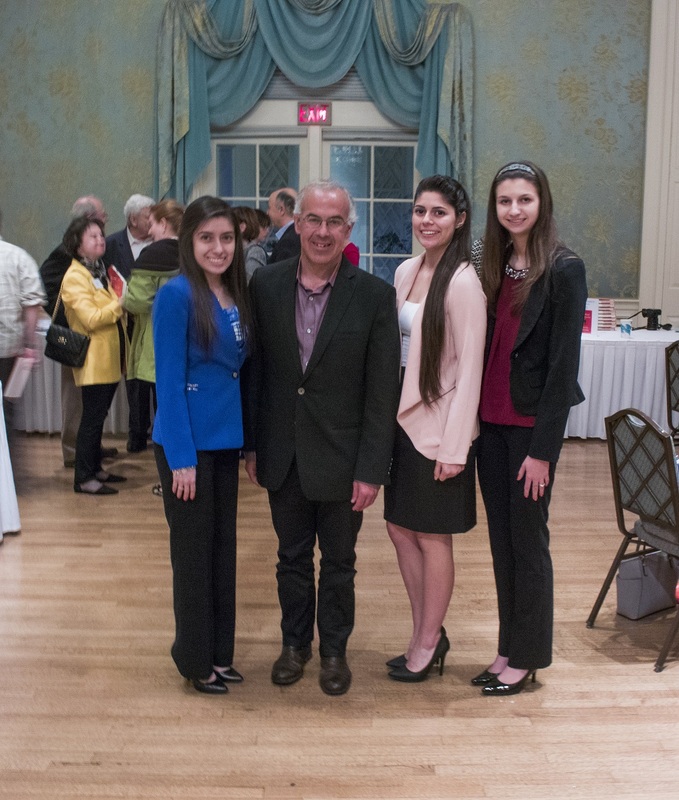 David Brooks, a New York Times columnist, bestselling author, regular analyst on National Public Radio, PBS News Hour, and a professor at Yale University, discussed the content of his latest book, The Road to Character. Brooks began by distinguishing between the two sides of every person, the internal and external. Citing Rabbi Joseph Soloveitchik, he distinguished between Adam 1 and Adam 2. Adam 1 is the career oriented Adam, while Adam 2 is the internal Adam who seeks strong moral character. The Road to Character is about Adam 2. 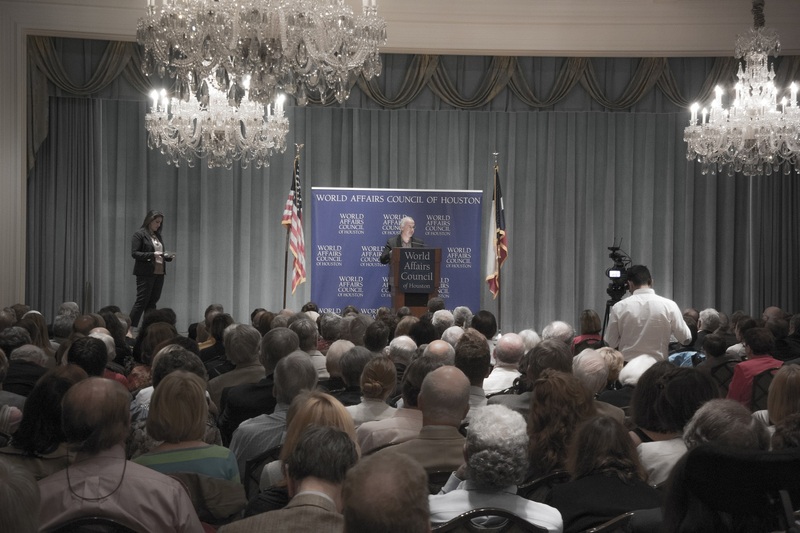 Brooks hearkened back to the WWII generation, which spoke often of “chivalry,” “honor,” “gratitude,” and “country,” while the younger generations today tend to think more along the lines of “me.” Citing one example, he referred to a survey taken in 1950 asking high-school seniors if they considered themselves to be a “very important person.” Twelve percent said yes. When the survey was replicated in 2005, 80 percent of the high-school seniors answered in the affirmative. Rather than chastise groups of people, however, Brooks’s primary goal was to discuss the lives of leaders he admires: Dwight Eisenhower, Dorothy Day, George Marshall, and Frances Perkins. He explained how the lives of these great leaders inspired the writing of his book and how their struggles led to their success and the acquisition of greater character. They groped, through failure and hardship, on the road to moral character. Brooks ended his speech by answering questions from the audience and signing books. …and allowing LEAP students to take advantage of an opportunity to learn and better ourselves. Following the event, LEAP students enjoyed a delicious meal at Jerry Built Homegrown Burgers. A juicy burger and crispy french fries were the perfect ending to a great evening, not to mention we had the chance to experiment with automated hand-washers. Amazing what you learn on LEAP Center trips. As we departed back to Huntsville, LEAP students reflected upon our road and what more we can do to become better leaders for LEAP, Sam Houston State University, and our local communities.